Apple’s much anticipated quarterly earnings announcement just broke. Q4 EPS came in at $4.64 vs 4.08 estimate. Overall stock may pull back due to lower than expected margins but in general the earnings and guidance are good. The preview for Apple’s earnings has been as much anticipated as almost any earnings announcement with Apple’s guidance being $18 billion in sales and street estimates at $19 billion or $4.06 EPS. The results will mostly be driven by iPhone 4 and iPad sales. Piper Jaffray analyst Gene Munster noted earlier today that previous shortages for the iPhone 4 and iPad may account for additional demand this quarter which would lead to higher than expected guidance. That coupled with the fact that Apple typically low-balls their guidance could account for a major earnings blow out. Some analysts note that the iPad, although a smash hit, could actually hurt overall numbers because the profit margins on the iPad are lower than margins on the iPhone. 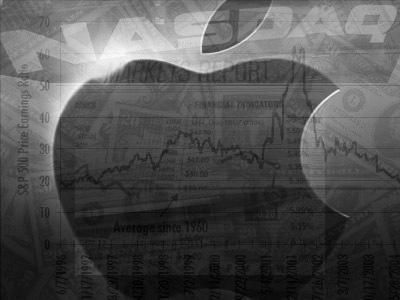 Assumptions are that Apple has sold over 5 million iPads and over 13 million iPhones during the prior quarter. Talk about a new partnership with Verizon has also accounted for the recent stock run-up in both Apple and Verizon.